Any regular visitors to my blog will know by now that if you have irritable bowel syndrome, then you will probably be helped by the low Fodmap diet. One way to test if you mal-absorb Fodmaps is to do a hydrogen breath test. In this video, I have explained what happens during the test and what they are testing for. The transcript of the video is below the recipe if you prefer to read about the test. Welcome to this video. Today, I’m going to talk about the Hydrogen Breath Test, which can test whether you have an intolerance to a couple of the FODMAPs, not all of them, but it will test for fructose and for lactose, and, in some places, it can also test for polyols or some of the polyols. I had it done in New Zealand, my home country, and that was not the case. They just test for fructose and lactose here. How does the hydrogen breath test work? It’s done over 3 days, and you have to stay there round about 3 hours for each of the days. So you have to set aside quite a space of time, and it’s not cheap either. Here in New Zealand it was $300 or $400, something like that. On the first day, they test you with lactulose. So they’re just testing your levels of hydrogen or methane, which is what you breathe out from the digestion of foods. And I think it’s about a third of the population breath out methane, and I’m one of those, and the rest breath out hydrogen from the process of digestion. So they want to see what a baseline is for you, because lactulose is not something that you would react from. It wouldn’t cause the fermentation that FODMAPs can create. So, they test that first, and then you go back for a second time and for me they tested fructose next. They give you a drink, quite a big drink, a very, very sweet drink of fructose, and then they test your breath every 15 minutes to see what the levels of, in my case, methane are, because if you’re not managing to absorb the fructose in the small intestine, then it’s going down into the large intestine where it starts to ferment. And those gases that are created down there are absorbed into the system and you actually breathe them out reasonably quickly, and that would mean that your levels of methane or hydrogen would go up. And in my case, they went up quite considerably, and they kept testing me for the whole 3 hours and I was pretty sick during that time because I was not really absorbing the fructose at all. And then I went back the next time, but they leave a gap of about a week in between, so that you can completely settle your system again. They do give you a diet for, I think it’s just the day before, to make sure that, in the second case, that you don’t have any lactose in your system when you go for the test. So I went to the second test feeling very worried about it because of my experience from the first test, although I was fairly sure that I actually didn’t have an intolerance to lactose. You kind of know some of these things and I’d always been able to drink milk and not have anything terrible immediately happen. Anyway, so they gave me a big glass of the lactose, it’s not milk, but lactose. It was a clear liquid. And then they do the same thing, they test you every 15 minutes to see what your hydrogen or methane levels are. In my case, nothing happened really. I felt fine the whole way through for the 3 hours, but they kept me there for 3 hours. Sometimes they don’t need you that long. And then, in my case, because I was a methane breather, they had to send that away to get analyzed at another lab. If it was hydrogen, they would’ve done it right there and then and would’ve given you the results, but I had to wait a couple of weeks. But by then, I knew anyway, I was mal-absorbing fructose, but not lactose. Anyway, so that’s what the hydrogen breath test is. And, as I said, it’s fairly expensive, so if you don’t want to do it that way, you can just do the elimination diet instead, because you have to do that anyway to see if you’re malabsorbing the other FODMAP’s like fructan and the other polyols and the galacto-oligosaccharides, which are the legumes. So you might as well do the elimination diet anyway. 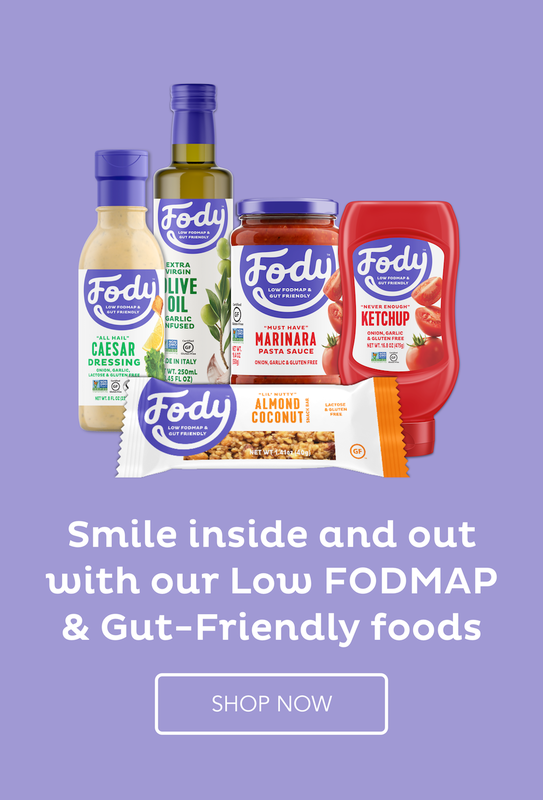 And if you have any intolerance to any of those FODMAP’s, then the FODMAP diet is for you, but you can tailor it to suit yourself. Thank you very much for listening to this video and please, if you have IBS, the low-FODMAP diet is the very best solution for you. Goodbye. Today's recipe is a simple one - baked potatoes. I haven't had a simple baked potato for ages and yet I eat plenty of potatoes because they are low Fodmap and a good source of instant energy. I will be exploring a few different ways to prepare potatoes over the next few weeks and I thought the baked potato was a good one to start with because it is simple to prepare and delicious to eat. Do be careful with handling them when they are straight out of the oven because they get very hot. Scrub the potatoes, then season them and coat them in olive oil. Wrap them in tin foil and place them on a baking tray. Place in the oven and bake for about an hour. Mix a pot of sour cream, mint and a little lemon juice together. When the potatoes are baked, remove them from the oven. Cut a cross in the top right through the tin foil and squeeze the potatoes from the bottom to open them out a little. Place a dollop of the sour cream mixture in the cut and sprinkle over some mint and grated Parmesan. Serve piping hot with some extra sour cream in a bowl. There’s something so satisfying about a baked potato, isn’t there? They make a great side, but you can also load them up with goodies and then they become almost an entire meal. I like the skin of mine more on the crisp side so I always skip the foil, but they’re good either way. Good stuff — thanks. That’s right – you can make all different sauces or just melted cheese – yum! I found these came out with a reasonably crisp skin because of rolling them in olive oil first. And my fickle oven would probably burn them before it cooked them. LOL. Me too. We often had them on the farm. Maybe it is a fashion thing. I just copied off a few of your recipes . I will be trying them out. I am doing fairly well. With my Sjogen’s I do still deal with digestive issues but I am gluten and lactose free now as well as being aware of the fodmaps. I am keeping’things under better control. Thanks for the update, Daley. We used to eat them a lot as a child but then I kind of forgot about them. I love the flavour of them when they are baked. A baked potato is such a delicious thing, and I never think to make it. Thanks for this reminder! The lemon juice in the sour cream sounds great. I know, right? Who thinks of baked potatoes? I love the rustic flavour and they can be so dressed up with different sauces. We love having a baked potato bar every so often, especially in the winter. It’s a cheap meal too if you top it with cheese or sour cream and/or bacon, scallion greens maybe – mmm, love a good baked potato, especially with a nice skin that is a bit crispy and salty! This skin turned out pretty well considering it was in tin foil but I think the olive oil helped it crisp up. I love your topping ideas.